The famous who visited, the awards and the showstopper dal, I was little nervous to write about Bukhara. The visit itself, you experience the warmth and high hospitality the Indian culture stands for with rhythm of rustic interior keeping rendition with yesteryears of Mughal inspiration. We were hit by the usual Delhi traffic that got us little late for lunch. Consider ourselves lucky, 5 minutes passed lunch, and we were greeted with the most gracious welcome. As we already felt little guilty about getting late, so started our day with the main and how would it be without the iconic dal Bukhara. And then pudina paratha, Murg malai kabab, and Kastoori kabab. 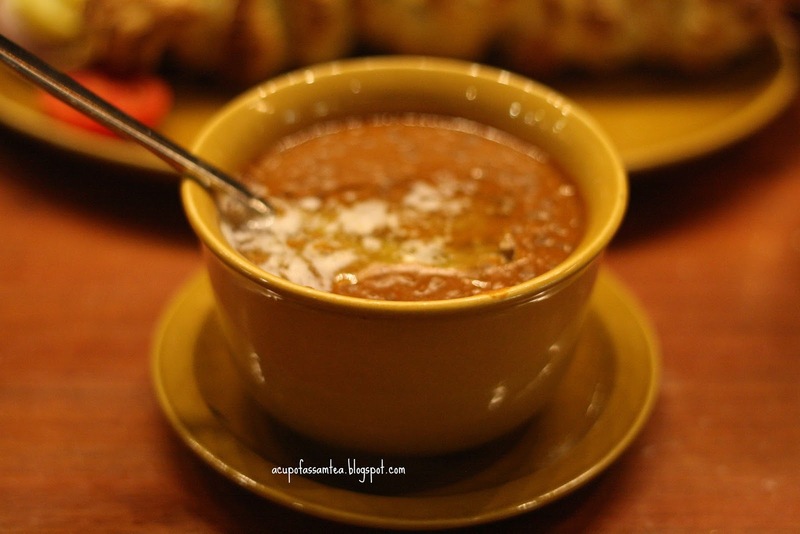 Dal Bukhara: cooked for 24 hours in the earthen oven (tandoor) with tomato and ginger garlic was indeed a show stopper and signature. Thick whippy black gram dal comes with a generous dollop of butter on top. If you haven't yet tasted, just start with it and witness the taste of deliciousness ever. 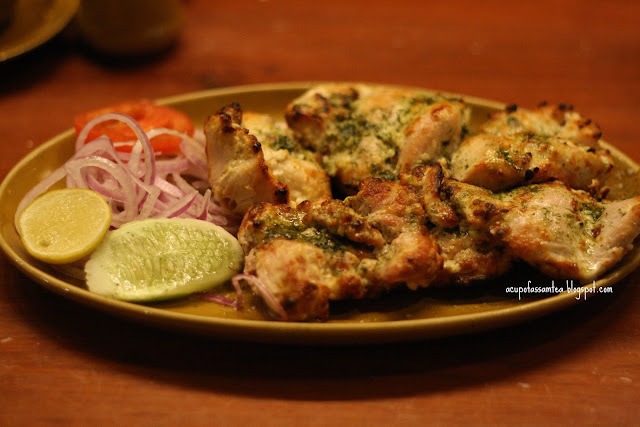 Kastoori Kabbab: let the magic happen on your tastebud. Chunky chicken pieced lightly coated with egg yolk melange of ginger garlic and peppermint carefully cooked in the oven. Juicy and zestful. 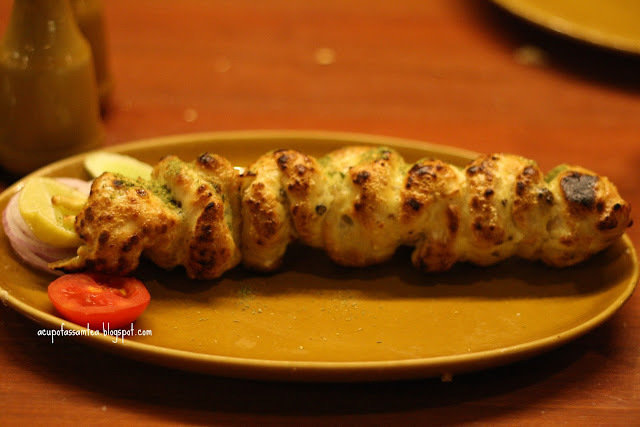 Malai Kabab: Meticulously prepared comes on the wooden square luscious and luxurious taste of malai velvety touch with the tint of green chilies and coriander. Gloppy and gilded. 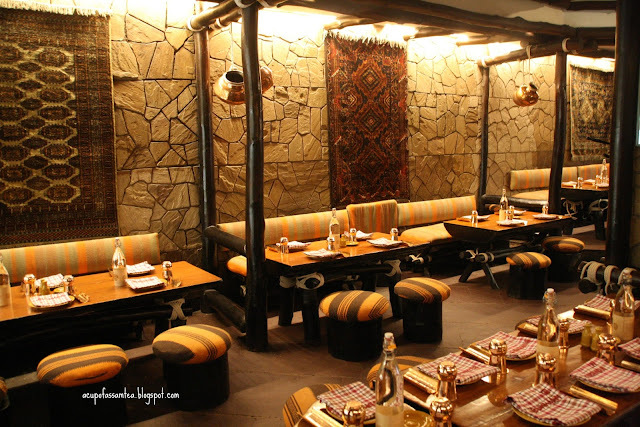 Bukhara's menu is not so extensive to get lost but covers enough for any taste bud whether you are non-veg or vegetarian. As a tradition, you should eat with hands, but if you want to use fork and spoon, they will gladly provide you. Since it does not offer any rice dishes, we gladly ordered mint, Partha. Soft and minty paratha goes well with all the entries. 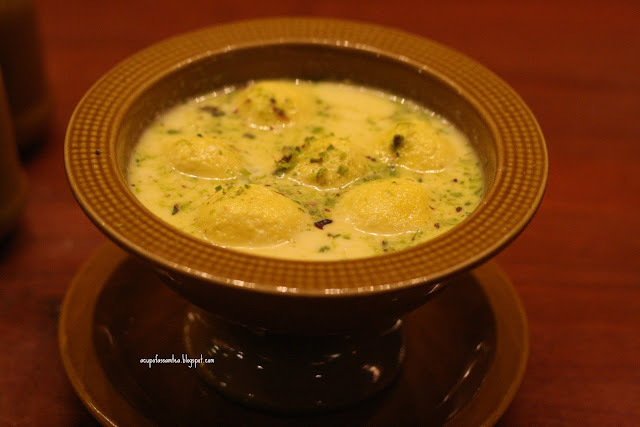 As everything went so sweet, we made it, even more, sweeter with Ras Malai. Indian sweet cheese balls with reduced milk. Melt in silken balls adorned with pistachio and decadent saffron flavor. One of the best iconic culinary experience and value for the price. I would be glad to visit next time when I'm in Delhi. There are few things better than great traditional food such as this. 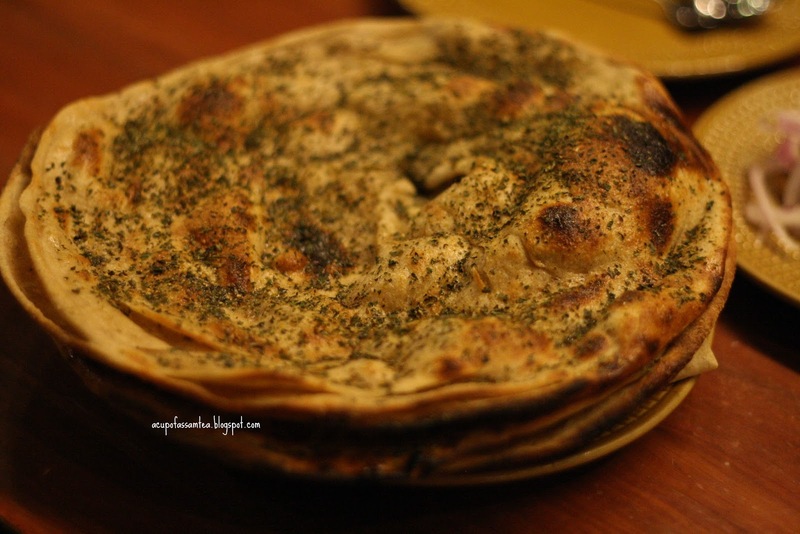 Paratha's are one of my favourite accompaniments. I've tried making them but they didn't turn out as good as these look!